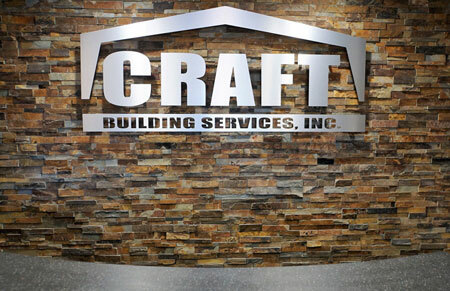 About - Craft Building Services, Inc.
About Craft Building Services, Inc. - Craft Building Services, Inc. Craft Buildings Services, Inc. has catered to Midwest small businesses, not-for-profit entities, governmental and industrial clients since 2005. As an authorized American Buildings Company Builder, we provide the highest quality pre-engineered metal buildings to our customers. We are also an Architectural Metal Systems Builder supplying new and retrofit metal roof systems for both convential and pre-engineered buildings. We are consistentally named one of American Buildings Company's Midewest Builders Top 10 for Sales Achievement and our dedication to our customers. We were included in the 2015 National Top 25 ABC Builders. Craft Buildings Services’ focus on customer satisfaction is a driving force for our company with the majority of our business being repeat customers. We are committed to providing quality work and strive for you to become one of our repeat customers.